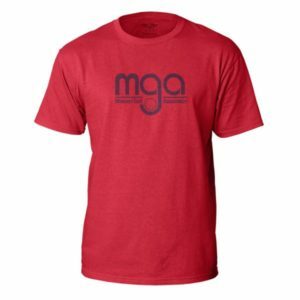 Get your MGA logoed hat or T-Shirt today (Red, Charcoal, Military Green, Ice Blue and Heather Gray)! 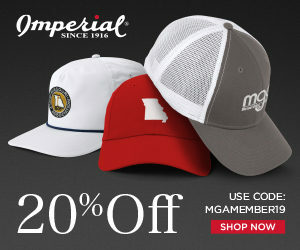 Imperial has launched an online-exclusive collection of MGA logoed hats and apparel as part of a special MGA Collection. The “MGA Collection” is live on Imperial’s website where you can choose from a variety of styles/colors, place your order almost instantly from any device, and receive free shipping! Bourbon, MO – Imperial Headwear, the #1 headwear brand for Private and Resort golf facilities as reported by the Association of Golf Merchandisers (AGM) in their Member Survey the last 3 consecutive years, announced a new partnership and e-commerce fundraising collaboration with The Missouri Golf Association (MGA). Imperial will become the “Official Headwear of the Missouri Golf Association” under the new agreement and provide all headwear for MGA staff, committee members and player tee gifts for the 2018 season. Additionally, Imperial has launched an online-exclusive collection of MGA logoed hats and apparel as part of a special MGA Collection. The “MGA Collection” is live on Imperial’s website where you can choose from a variety of styles/colors, place your order almost instantly from any device, and receive free shipping! 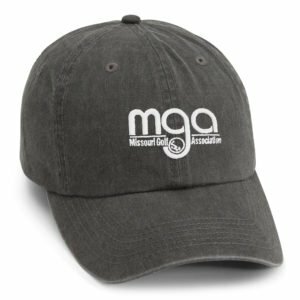 For each MGA cap/tee sold through the collection, $10 will help benefit the MGA’s various golf and charitable initiatives around the state of Missouri. The MGA collection showcases nine unique headwear and apparel styles. The core MGA logo is directly embroidered on the caps and printed in detail on the t-shirt option. A great variety of styles are offered including classic unstructured caps, sun protection buckets, a rope hat, a mesh-back style, and a super soft t-shirt. The Missouri Golf Association was started in St. Louis in 1905 to run the Amateur Championship. The four founding clubs would be the ones in existence in St Louis in those early years. St Louis Country Club, Algonquin Golf Club, Glen Echo Golf Club and Normandie Golf Club. By invitation only at first, then four years later, in 1909 the Missouri Amateur was held in Kansas City at Evanston Club, (soon after became Hillcrest in 1917). 1911 marked a real organization of the MGA with Bonner Miller as Secretary and virtual Executive Director. He ran the tournament until his death in 1942. The Missouri Golf Association is a non-profit organization whose purpose is to promote the best interests and true spirit of the game of golf throughout the State of Missouri.